Enjoy your stay at Cross RV Park of Henderson, Texas. For more than 40 years, our RV park has been providing a convenient place for families and travelers. Offering a safe and secure place to stay while your away from home or if you are looking for a new place to call home. With our affordable rates and close proximity to multiple grocery stores and other recreational areas, Cross RV Park is the premium location for long term, monthly, weekly and daily residents. 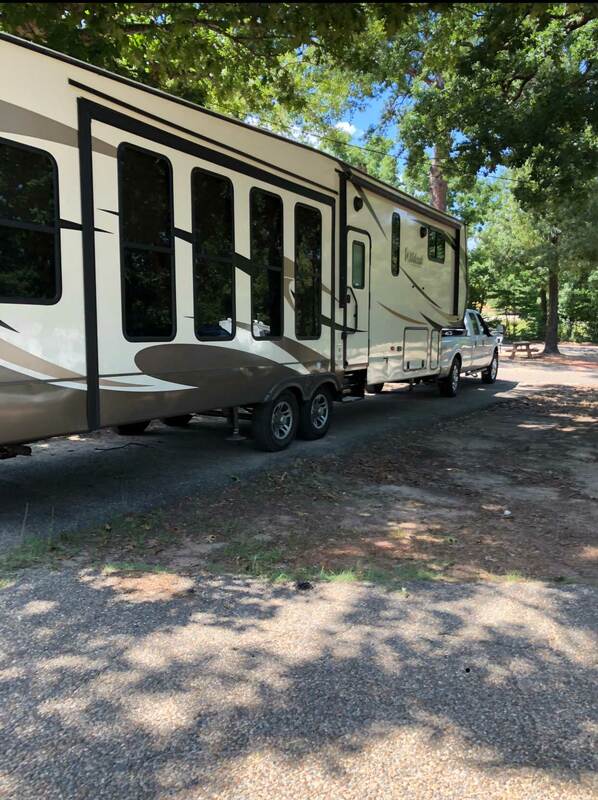 Located in the shady pines and oaks of East Texas, Cross RV Park provides an enjoyable, secure stay in a lovely rural setting. Our friendly, secure environment provides the perfect place for long term residents or short term vacationers just passing through. Also, any commercial businesses looking for a place to house their mining, railroad or power plant crews while they are working in the area are welcomed as well. Lake Forest Park - playground, picnicking, and fishing. Fair Park - playground, picnicking and spray pad. Yates Park - playground, picnicking and spray pad. *Must supply proof of service for discount.